Why are label prices going up? For the first time in twenty years, the label industry has been experiencing significant price increases, and rates are expected to rise more in 2019. Why are rates going up? Well for one reason, the digital era has caught-up with paper producers. Digital receipts, statements, invoices, estimates, magazines, newspapers, books, etc., have caused paper sales to decline forcing some paper producers out of business. Less competition creates an opportunity for the remaining producers to increase rates. 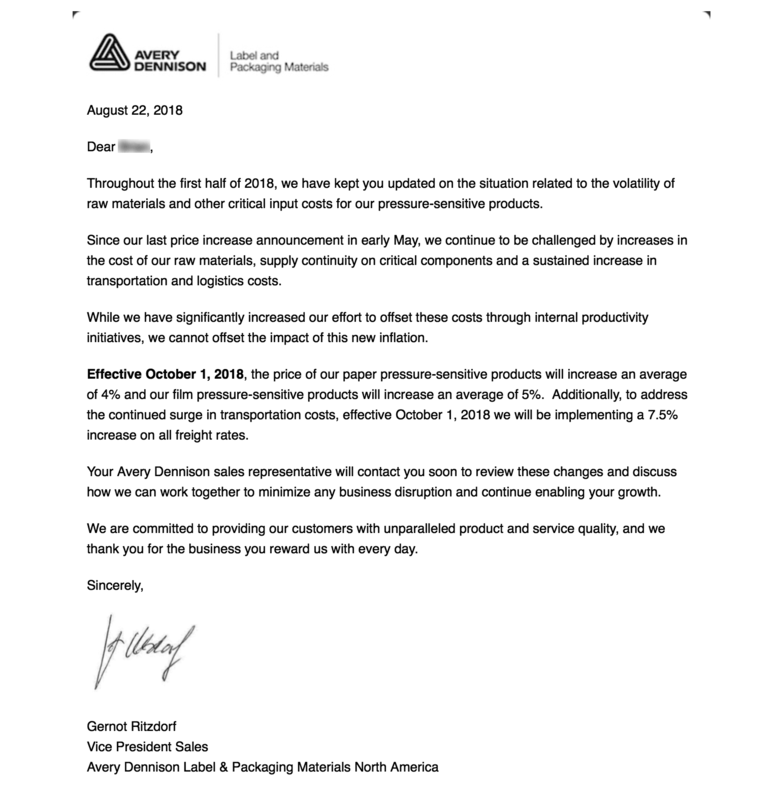 Click to read rate increase letter from paper manufacturer. Contact us today to place an order before label prices increase again!